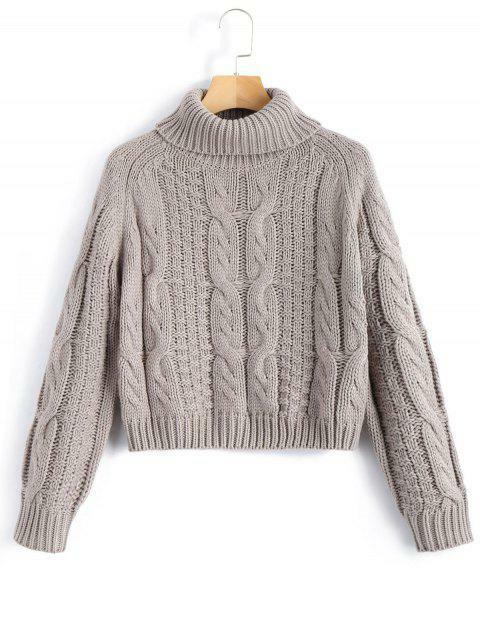 [50% OFF] 2019 ZAFUL Turtleneck Cropped Cable Knit Sweater In GRAY | ZAFUL .. It's a little bit tight, but then yield the material and you feel more comfortable. Although I recommend that you buy a size larger than they usually use. The material it's so good. Looks beautiful, and the color it's perfect. It was worth it. Love it. It looks fancy and sophisticated. I bought three pieces for my mom n aunts. 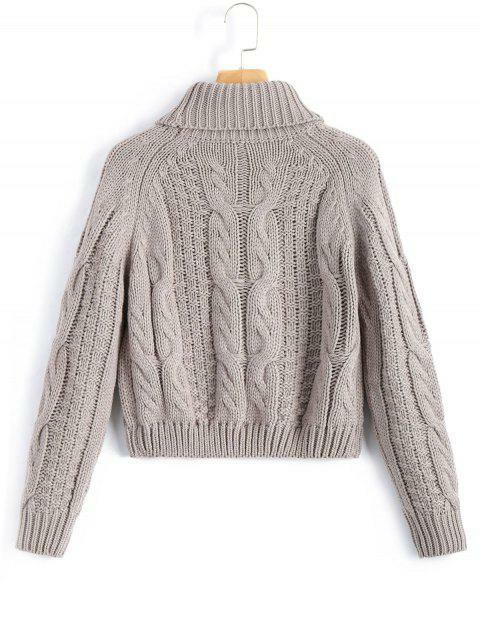 It look so cute and Super soft also. I normally wear medium, I m 165cm and 5.5kg. It would look cute if u wear it with mini skirts too. I had to swallow my desire to keep these as they were bought as the gifts. 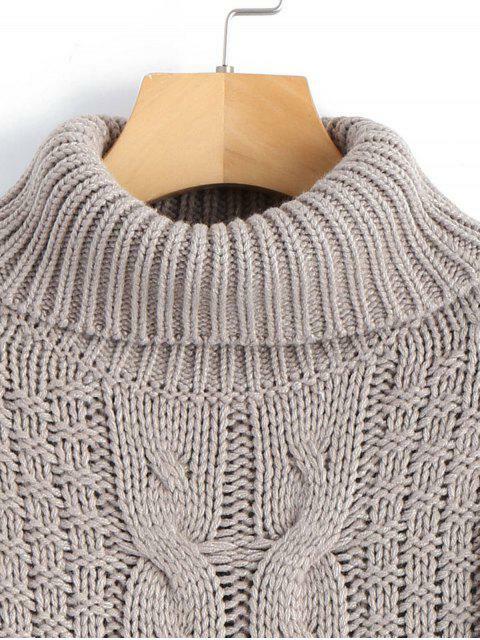 This turtlecollar sweater features a cable knit fabric detail and raglan sleeves in a cropped length.